Iridium Certus is the advanced new multi-service platform powered by the $3 billion Iridium NEXT constellations. With a range of speeds eventually reaching up to 1.4Mbps Iridium Certus will deliver global, reliable, enterprise-grade connectivity while redefining the capabilities of mobile satellite communications. 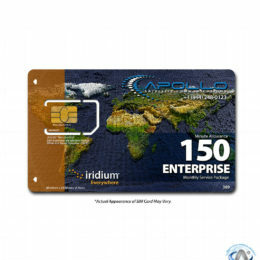 Iridium Certus will offer more than just connectivity. It is a portfolio of ever-expanding service offerings that will allow your business to operate more efficiently by providing greater value and a greater reach than any other mobile wireless network. Through Iridium Certus, Iridium is making broadband truly mobile with uncompromising coverage, multi-service capabilities, and a solution that with a scope to meet the demands of your business; all in one single platform. *IMO recognition received in 2018. Expected service introduction by 2020. Iridium Certus delivers high-performance broadband service from cockpit to cabin. Through small-form factor, low-profile antennas, Iridium Certus is ideal for aircraft operators looking to keep crew and passengers connected – supporting email, Internet, voice and data communications, everywhere on the planet. For years, the maritime industry has been forced into long-term contracts and expensive service plans due to limited options for satellite broadband connectivity. With the launch of Iridium Certus, mariners can realize the truly global advantage of the Iridium network. Iridium is the preferred and trusted provider of maritime satellite communications for business operations, safety services, IoT applications, and crew welfare, and Iridium Certus will deliver reliable service combined with the highest L-Band speeds to any place on Earth. 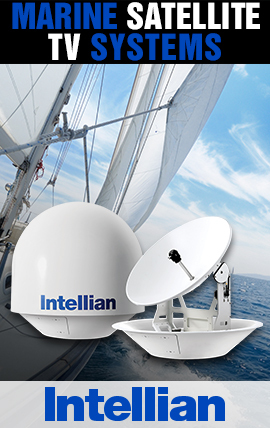 For the first time within the mobile satellite communications market, a real choice and superior connectivity alternative will be available to the maritime community. Iridium Certus will extend the reach of terrestrial and cellular infrastructure like never before with truly mobile communications capabilities making it ideal for supporting critical connectivity needs regardless of location, terrain, and weather events. 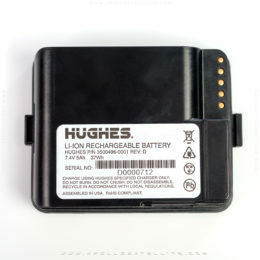 The global service will feature a range of data speed options and will integrate with the robustly designed terminals, providing a reliable connection for voice, satellite Internet, cellular data, Land Mobile Radio (LMR) and location-based applications. With Iridium Certus, customers will be able to control costs by eliminating the need to deploy expensive ground-based infrastructure or large, expensive directional terminals that rely upon geostationary satellites. The Iridium network provides unmatched secure communications anywhere on the planet, including the polar regions. Iridium Certus will enable voice, data, and push-to-talk messages, remote communications, personnel tracking, and over-the-horizon, beyond line-of-sight, and on-the-move communications at a range of speeds at your command. With expected availability in 2019, government and military customers will be able to rely on the secure, low-latency broadband connectivity of Iridium Certus through the dedicated U.S. Government gateway and controlled infrastructure. Iridium has selected market-leading service providers to bring Iridium Certus, the new, best-in-class broadband connectivity to its customers. Iridium Certus service providers will work across specific markets, including Aviation, Government, Land and Maritime. Learn more about the companies bringing these new, enhanced services to life.